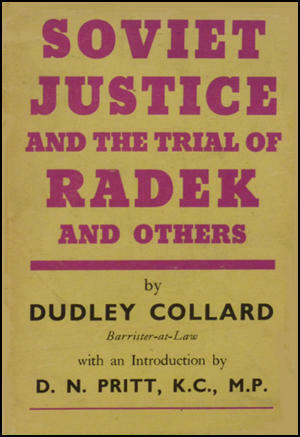 Dudley Collard died in 1963. Vyshinsky handled the case admirably. He was single-handed, without a junior or a solicitor to assist him and he obviously had a complete mastery of all the details of the activities of each of the seventeen defendants, activities which spread in many cases over five or six years. It was a considerable feat to conduct the prosecution, as he did, without once hesitating or faltering for seven days. He never once lost his temper or bullied a defendant, although his examination was skilfiil and searching. He invariably behaved with restraint and courtesy and would check an irrelevant answer with "Excuse me." His final speech, which lasted several hours, was dear, logical and convincing. The first half of it was devoted to a study of the political aspects of the case, and in the second half he discussed whether the evidence satisfied the requirements of the Soviet Code. When he sat down, after an eloquent appeal for the death sentence to be passed on all the accused, there was enthusiastic applause for about two minutes, which the court made no effort to check. Counsel for the defence seemed to be capable and experienced men. They did not hesitate to cross- examine any of the accused to discover facts favourable to their clients. M. Braude, one of the defending barristers, was practising even before the revolution, and enjoys, I understand, a particularly high reputation at the Moscow bar. All three counsel had an extremely difficult task in view of the clients' pleas of guilty, and they confined themselves, in their addresses to the court, to pointing out any mitigating circumstances which affected their clients. No lawyer could have done more. One of them, M. Kaznacheyev, who appeared for Arnold, was successful in saving his client from a death sentence. As is well known, Trotsky and his supporters took a pessimistic view. 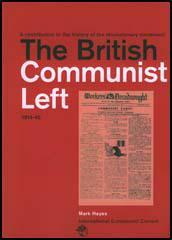 They had no confidence in the ability of the Soviet people to build socialism in one country, surrounded as it was by hostile capitalist states. They took the view that to attempt to do so was to invite an armed attack and to suffer inevitable defeat, Radek scoffingly referred to the proposal as an attempt to "build socialism in one county". 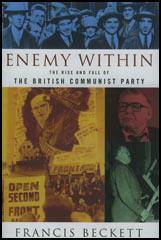 The Trotskyites expressed their views openly and freely as they were entitled to do, and the question was thoroughly thrashed out inside the Communist Party. Finally a decision had to be taken one way or the other, and a large majority were in favour of the bolder policy, sponsored by Stalin, of going ahead with socialist construction in the U.S.S.R. regardless of the difficulties, Trotsky and his followers were defeated. However, they did not all accept the decision which had been democratically arrived at, and which it was then duty loyally to obey, whether they agreed with it or not. It may be that some of them sincerely thought that the policy which had been decided upon was disastrous; it is probable that most of them were actuated by motives of jealousy, of resentment at having lost the day, and of personal ambition. Be that as it may, a number of them decided to get the decision reversed by fair means or foul Trotsky, Zinoviev Kamenev, Piatakov, Radek, Sokolmkov, Serebriakov, Boguslavsky, Muralov were among the malcontents. They started illegal agitation against the Soviet Government and the Communist Party, They printed and distributed leaflets attacking the policy of the Party. They organized demonstrations of protest. At this period there were still sections of the population who were responsive to agitation. However, they did not succeed in winning many people to their side. For their illegal acts they could no doubt have been prosecuted and probably sentenced to death, but they were treated with a leniency which, as it has turned out, was misplaced. For the most part they were merely expelled from the ranks of the Communist Party, and some of them were sent to distant parts of the Soviet Union. Trotsky went abroad. For a while their illegal activity ceased, but in the difficulties of collectivization they saw their opportunity, On Trotsky's instructions, one by one, they declared that they realized they had been wrong and applied for re-admission to the Communist Party, Believing that their recantation was sincere the Communist Party accepted them back, and soon many of them were occupying important posts. It is here that the history of the treasonable conspiracy begins. In the summer of 1931 Piatakov, Assistant Commissar for Heavy Industry, was in Berlin on official business. 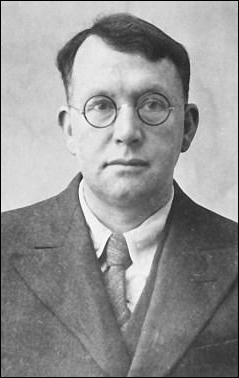 Smimov, another Trotskyite, who was tried and executed with Zinoviev in August 1936, was also there, Smimov told Piatakov that Trotsky's son was in Berlin, and Piatakov gave Smimov his telephone number, so that Trotsky's son might ring up and make an appointment, Trotsky's son, Sedov by name, did so, and Piatakov arranged to meet him at the Zoological Gardens. They met at this cafe, and Sedov, having reassured himself by tactful questions that Piatakov was still a Trotskyist explained that his father took the view that it was more than ever necessary to overthrow the Soviet Government. He realized, however, that this could no longer be done by means of popular agitation, legal or illegal, since the Soviet public were, in Trotsky's words, under the ''hypnotism of Socialist construction." It was therefore necessary to resort to other means. Trotsky thought that it might be possible to seize power if the industrial life of the country were disorganized in such a way as to cause widespread popular discontent, and if at the same time the leading members of the Soviet Government were simultaneously assassinated. He therefore advocated the organization of groups of his sympathizers inside the Soviet Union to commit sabotage at the most sensitive spots in industry and transport, and to arrange for the assassination of Soviet leaders. Much to Sedov's satisfaction Piatakov approved of the scheme and undertook to prepare things in the Soviet Union. In December 1934 Kirov, the leader of the Communist Party in Leningrad, was assassinated by the other group of Zinoviev and Kamenev, who were shortly afterwards arrested, Piatakov's group met to consider the effects of the assassination, and decided that single acts of assassination were worse than useless. They must either abandon terrorism altogether, or conduct it on a much larger scale. They decided on the latter course. At the same time, since Zinoviev's group was now caught, Piatakov's group came into operation in its place. Sokolnikov, who had hitherto played a passive part, and had been used chiefly for communicating with certain diplomats, urged more intensive activity. In December 1935 Radek received an eight-page letter from Trotsky written on Indian paper, in which he developed his views about the defeat of the Soviet Union. These views are hard to understand, but it cannot be denied that there is a certain chain of logic in them. Briefly they were as follows. He had already said that it might be possible for them to achieve power by concentrated sabotage and terrorism. This, however, was unlikely. What was more likely was that the Soviet Union would become involved in a war with Germany and Japan, which the latter were planning for 1937. In this event there was far more chance of the group being able to seize power, provided they could count on the support of the victors, who, Trotsky felt sure, would be Germany and Japan, If, therefore, an alliance could be come to with them in advance, so much the better. He had, therefore, been in negotiation with them, and had promised them the support of his "fifth column" inside the Soviet Union. Before the war broke out, they would actively help the Germans and Japanese by collecting information and co-operating with their secret service, and by carrying out sabotage at important military factories and on strategic railways. When the war broke out they would redouble their sabotage. After the war, if the Germans and Japanese would place them in power, they would agree to the "independence" of the Ukraine, and would cede the Manturia provinces to Japan. The Germans could also have economic concessions for gold mines, oil, manganese, timber, apatites, and the Japanese the oil of Sakhalin Island. Trotsky calculated that thus he would create a certain class of business men, commissionaires, and capitalists who would be favourable to his regime, in which he envisaged himself as playing the part of a Napoleon. Trotsky intimated that he had already made an agreement along these lines with Hess, Hitler's representative, and that he had an understanding with the Japanese!